Once upon a time, every entrepreneur believed if they just got enough eyeballs, ad dollars would follow. Today Facebook and Google have a stranglehold on the digital ad market. Plus, giants like Apple are simply sitting on too much cash. Buying a company like Shazam at a massive discount becomes a question of “Why not?” Shazam will make a nice addition to Siri. Or it will be baked into Apple Music. That price (is) ominous for unicorns with valuations above $1 billion. The low sale price should serve as a warning that a correction is coming, following a period of venture capital excess. Apple’s acquisition of Shazam is without a doubt big news for Europe’s striving startup scene. What’s less clear is whether it’s good news or bad news. Founded in 2004, in the pre-iPhone era, Shazam represents a remarkable tale of endurance. But just three years ago, the company was reportedly on track for a $1.2 billion IPO as its music-recognition app passed the 100 million download mark. Then, just a few months later, there was talk that the IPO had been pushed back to 2015. Instead, the company raised $30 million in a Series F funding round in February 2015, bringing its total funding to $143.5 million. Surely the backers saw something when they looked at the numbers. But that something apparently never materialized. Because, by those measures, the $400 million that TechCrunch reported Apple paid to acquire Shazam ain’t much. It’s hard to imagine that the Series F backers got a return for their troubles, though maybe they at least got their money back. That sale price has many seeing ominous signs for the stable of unicorns stuck with ungainly valuations above $1 billion. In a statement via email, Mark Tluszcz, CEO at Mangrove Capital Partners and chair of Wix.com, warned that the low sale price of Shazam should serve as a warning that a big correction is coming, following a period of venture capital excess. Naturally, Nenad Marovac, founder and CEO of DN Capital, disagrees. One of Shazam’s earliest investors, Marovac believes Shazam represents a big win for the startup ecosystems in Europe and the U.K. The real lessons, however, may go beyond valuations or geography. Fundamentally, Shazam never quite found a business model that clicked. A 2014 Tech.eu story looking at Shazam’s emerging advertising efforts referred to its “near-profitless 12-year gallop.” Once upon a time, every entrepreneur believed that if they just got enough eyeballs, the ad dollars would follow. But today we know that Facebook and Google have a near stranglehold on the digital ad market, on desktop and mobile. Plus, giants like Apple are simply sitting on too much cash. 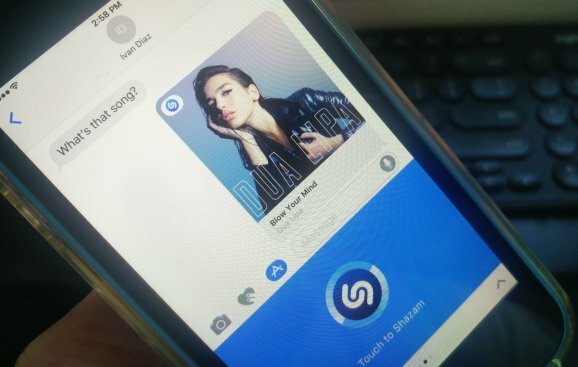 With the company’s billions of dollars sitting overseas, buying a U.K. company like Shazam at a massive discount becomes not a question of “Why?” but rather “Why not?” In this case, as my colleague Emil Protalinski wrote last week, Shazam will make a nice official addition to Siri, where its functionality had already been integrated. Or it will be baked into the Apple Music service somehow, where it will serve as a nifty feature. With ad dollars scarce, and IPO markets remaining weak, it’s going to be harder and harder for advertising-dependent startups to remain independent. Rather then trying to escape the gravitational pull of tech giants like Apple, agreeing to be folded into their massive arms may be the best remaining option for these poor unicorns. Certainly it’s a good sign that Europe is capable of producing a global tech brand like Shazam. But creating a strong, independent European tech startup that joins the ranks of the U.S. giants remains a dream difficult to realize for now.